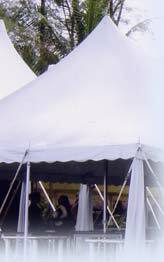 Many functions of canvas create colorful paintings, tents, sails, marquees, backpacks and other more. Cotton canvas and canvas for printing are provided in every printing shop. Phuket canvas service is easy found in Phuketindex.com listing that contains helpful information to all customers. We have various choices of cushion, curtain, parasol, bedspread, carpet, Leather-Sofa...contact us for quality goods. In Phuket we are a leader of curtain, furniture and decorations service teams. We offer a variety of wood furniture and curtain designs. All of our furniture and curtain are made to order. Orawan Curtain has been designing custom-made curtains and other interior decor for many years. At Phetrong Kung Kan Boa with our experienced craftsmen team is able to design original and unique seats that fit your car, your boat, your home and your personal taste. Phuket Imperial Stainless Co., Ltd., we provide design, installation stainless service by over 10 years experience team. We work hard to make sure that you are delighted with our services and product. Our concept is to make quality services with the reasonable prices. And our products are carefully made for you so you can rely on.